Joely and her littermates were homeless in 2007 when AWF took the puppies into its care, providing spaying/neutering and vaccinations and placing them in responsible homes. From our beginning, we’ve been driven to establish an organization that balances rescuing and caring for animals with educating the humans on whom these animals rely for a peaceful, safe and healthy life. The decisions we make daily, and the programs we offer, reflect this philosophy. After years of fundraising and planning, we’ve completed Jones County’s first animal shelter. We’ve built relationships with officials in Jones County and its cities that allow us to save local strays and unwanted pets. We’re proud to be able to work with the support of our community to save the lives of local animals. There are thousands of animals that suffer and die in our state each year. Because of this, we place a priority on helping the dogs and cats in our own back yard. When resources permit, we respond to a plea for help from outside of Jones County. All of our dogs receive rabies and distemper/parvo vaccinations, heartworm test, de-worming, flea & tick preventative, and heartworm preventative. Cats are vaccinated against rabies and distemper, de-wormed, treated for fleas and ear mites, and given flea & tick preventative. We also provide care for any health issues that are present when the stray animal is picked up or arise while in our care, such as heartworm, injuries, ear infections and urinary tract infections. 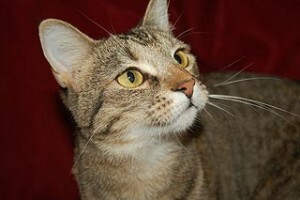 Suri was a member of a family of cats that was shot and left to die near a farm in Jones County. She survived and was taken into AWF’s care. Today she lives in a caring, responsible forever home. All of our dogs and cats are microchipped with 24PetWatch chips. This company was selected because there is no registration fee for the first year, as there is with the other two top microchip companies. We did not want to add to the financial burden of pet owners by selecting a company that required fees in addition to cost of the chip implant. 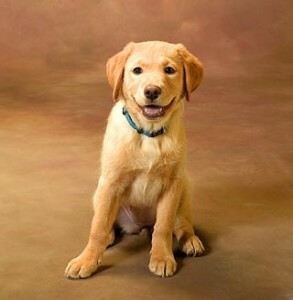 We also recommend recording your microchips on freepetchipregistry.com. This is a growing database where all microchips can be recorded for free and is not limited to one brand of microchips. This makes it easier to locate a pet’s information without having to potentially call twelve different phone numbers to obtain the information. Our board members and volunteers realize knowledge is essential in order to improve pet care and eliminate the pet overpopulation problem. We attempt to educate the public every chance we get—daily phone calls and e-mails as well as public appearances and events. Our dog- and cat-savvy board members and coordinators are available to troubleshoot behavior issues or give referrals to our favorite dog trainers and animal behaviorists.